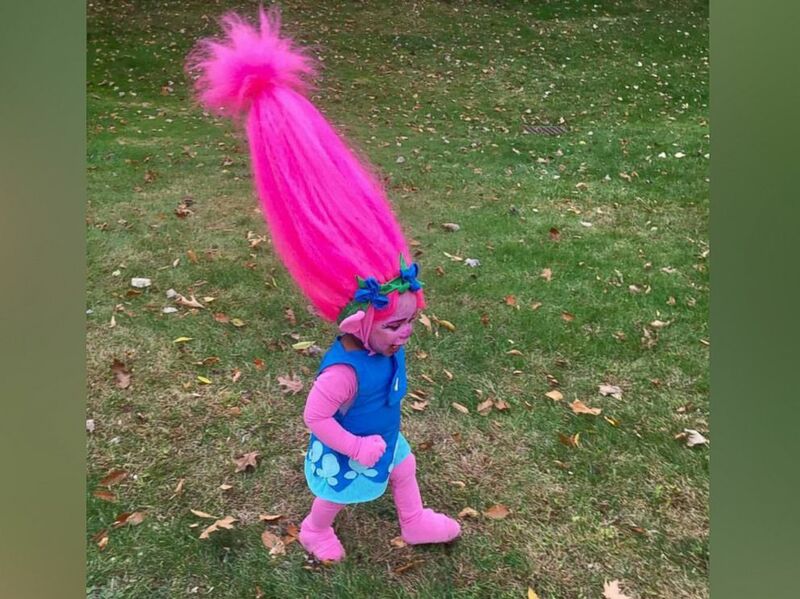 A toddler is making waves on social media after her mother transformed her into a character from the movie “Trolls." Chiquia Waters of Twinsburg, Ohio, shared photos and video on Instagram of the handmade costume she created for her daughter, Abrielle, 1, where they received more than 22,000 views. Later, a production company shared the footage on Facebook, where it was watched 14 million times. 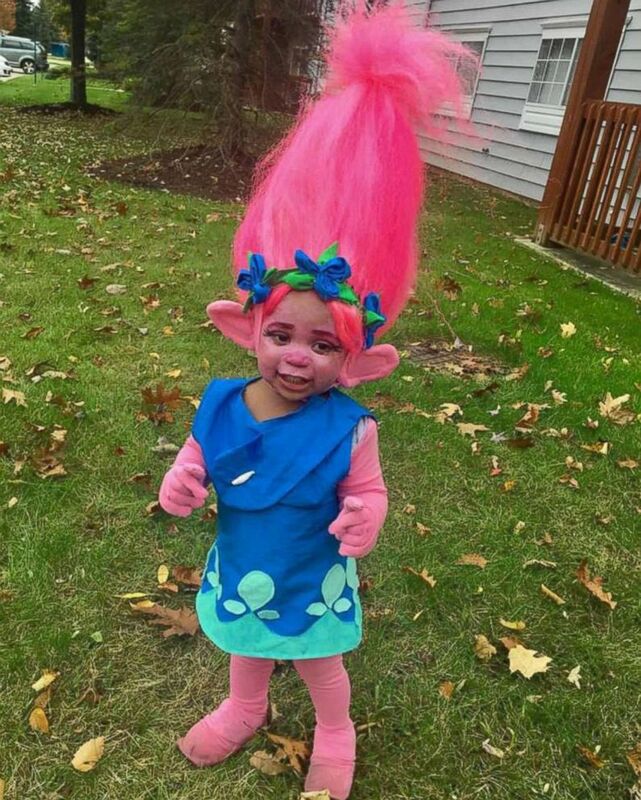 Waters of Ohio and her toddler daughter are making waves on social media after the mother of two transformed Abrielle, 1, into the character, Poppy from the movie, "Trolls." “I’m humbled because everyone is telling me how great [the costume] is,” Waters said. "My mind is blown, I would have never guessed it was going to be this big in a million years. "All I wanted to do was make her a super cute troll." 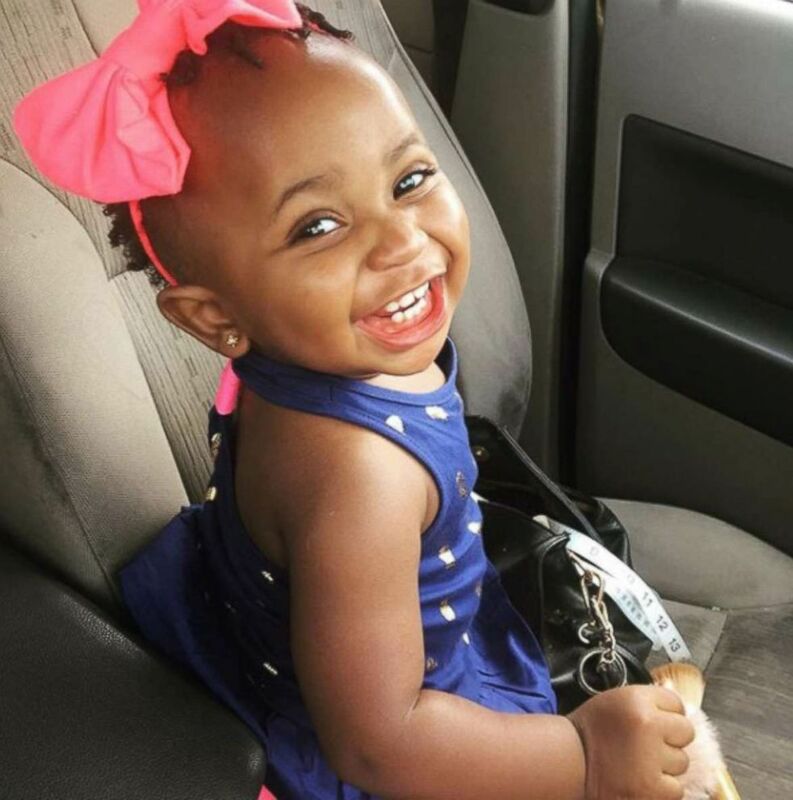 Abrielle, 1, seen in an undated photo taken by her mother, Chiquia Waters of Ohio. Waters, a mother of two, said she decided on Abrielle's costume because the child loves the character Poppy from the 2016 animated film, "Trolls." To make the pink wig, Waters said she spray-painted synthetic hair and wrapped it around a cone-shaped poster board. She also sewed Abrielle's dress herself and handmade the ears from fabric. Waters seen with her toddler daughter, Abrielle, 1, whom she made a Halloween costume for from the movie, "Trolls." Waters said she created the entire costume in two days, spending $30 on supplies. "I originally was going to buy her one, but nothing that I found the store fit the vision that I had," Waters said. "That's kind of what motivated me to do it myself." 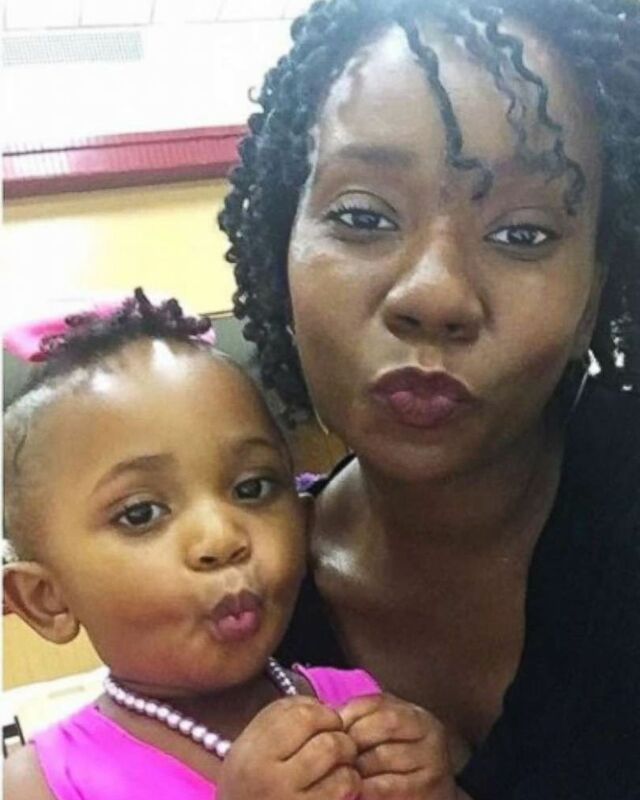 Chiquia Waters' handmade outfit for her 1-year-old daughter is making waves on social media. Going forward, Waters said she will be making all of her daughter's Halloween costumes. She plans on posting a tutorial for the troll costume on her YouTube page, Creatively Chi.